The closest airport to Oviedo is Asturias Airport and Easyjet currently fly direct from London Stansted twice weekly. The flight time is 1.5hr and Asturias airport is a ~40 min bus ride (Alsa is the company, €8) from Oviedo. The bus terminal at the airport is just outside the arrivals terminal slightly to the right and departs the airport on the hour. It dropped me off at the bus terminal in Oviedo which is about a 10 min walk from the center. Alternatively you could fly to Bilbao, then bus to Oviedo. Or fly into Santiago, train to A Coruna then bus to Oviedo. I had no idea where I was when the bus dropped me off and the information desk in the bus station didn’t have any maps, although the lady there did tell me to simply walk out of the building and turn right… So after following these instructions for a few minutes and still not quite knowing where I was or if I was walking in the “right” direction, I asked a man waiting at some lights for the tourist information centre and he walked me there, it was a further 10 minutes. The tourist info centre that I ended up at was on a corner of the Campo San Francisco park, I later found out that there is also one near the Plaza del Fontan. They were very helpful and gave me a map of the city as well as a sheet with the opening times of all the museums and sights. My next stop was at Vodafone to buy a SIM card for my phone, (they’ve recently changed their prepaid deals for the worse) so I would probably try Movistar or Orange next time. After spending forever in the Vodafone shop it was after 5pm and the Tourist info centre had already told me that there weren’t many beds left in the albergue (when they called at 4pm) so, worried that I would walk 20 minutes only to find the albergue full, I booked a cheap hostal for €25 on booking.com and made my way there (Hostal Alvarez). There wasn’t enough time left in the day to see the sights at Naranco or the Cathedral so I decided that I would stay tomorrow and have a leisurely day getting to know Oviedo before walking on. Before bed I headed over to the ‘Sidra’ street called Gascona where there are about a dozen restaurants serving the local Asturias alcoholic apple cider the traditional way – poured into the glass at arms length 🙂 I ventured into one called La Finca and sat at the bar next to my very own keg with a button and spout to pour my own single servings… It was this or I would have had to buy a 600ml bottle and I wasn’t sure if I would be able to get through a whole bottle! The waiter showed me how to place my glass in the keg holder and push the button then informed me that I had to drink it all at once for a better taste. I looked around and watched others drinking their cider, and sure enough, this is what everyone was doing once it had been poured for them. (The waiter or keg pourer only pours a small amount in the glass so it’s not like you’re throwing back a pint or anything!) Having been to Asturias once before I remembered one of the local cheeses called Cabrales and saw it on the menu, so I ordered a medium ration (smallest on offer) and was very very surprised that I hadn’t remembered how incredibly ‘rotten’ it is! Talk about squeaky/mature/coat your teeth in goo cheese! I managed to stomach about 1/3 of the portion but didn’t feel inclined to take the rest away and also made a mental note not to order it again! I slept well and made my way to the 2 monuments of Naranco by bus from Uria Street – A2 goes there and A1 comes back, €1.05 each way and about a 10 min journey. Santa Maria del Naranco was originally part of a royal palace completed in 848 and was converted to a church at the end of the 13th century. 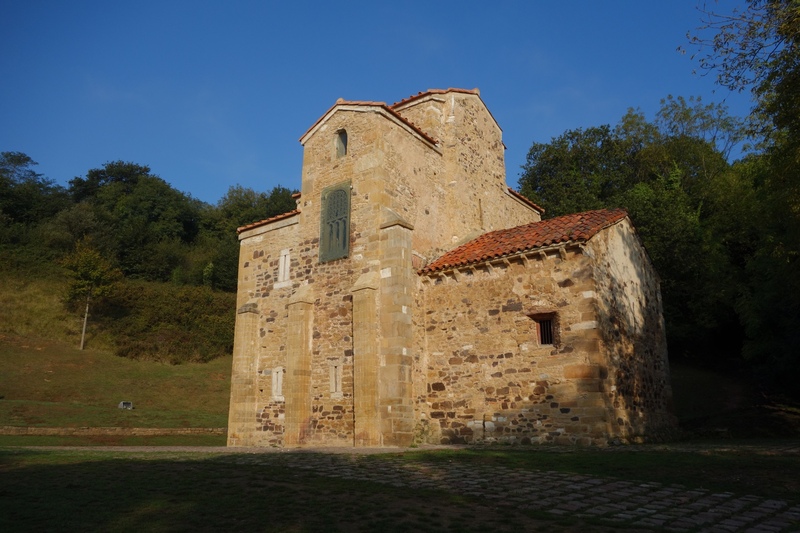 It is built in the pre-Romanesque style and was declared a World Heritage Sight in 1985. San Miguel de Lillo is ~200m from Santa Maria and was also a part of the same royal palace completed in 848. I came back to Oviedo by bus and wandered around the city marveling at the beautiful Art Nouveau architecture and the many statues dotted around. I don’t think I’ve ever seen so many statues/works of art in one city before. And then I visited the Cathedral of San Salvador (€3) to buy my pilgrim passport (€2.50) and see the blood stained shroud that is believed to have been wrapped around the head of Jesus. 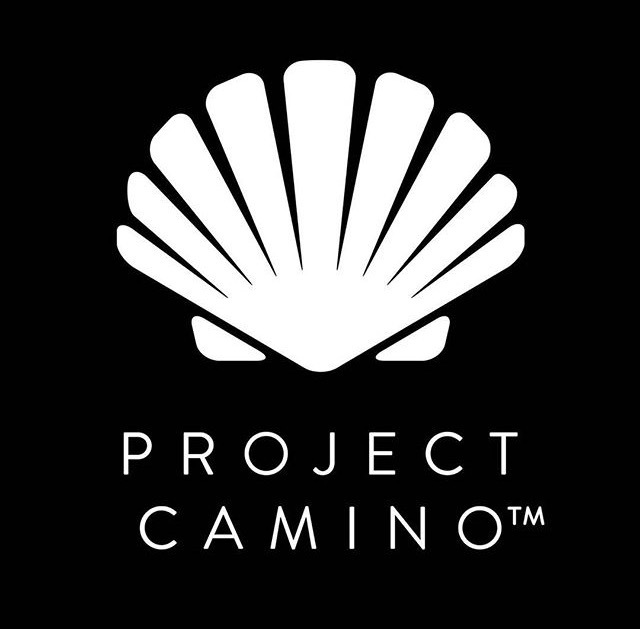 ← What is the Camino Primitivo? I loved Oviedo and its street art. Me too Tim, I’ve never seen so many pieces of art in one city before!